The two leaders are seeking a way out of a trade war between the world's two biggest economies. 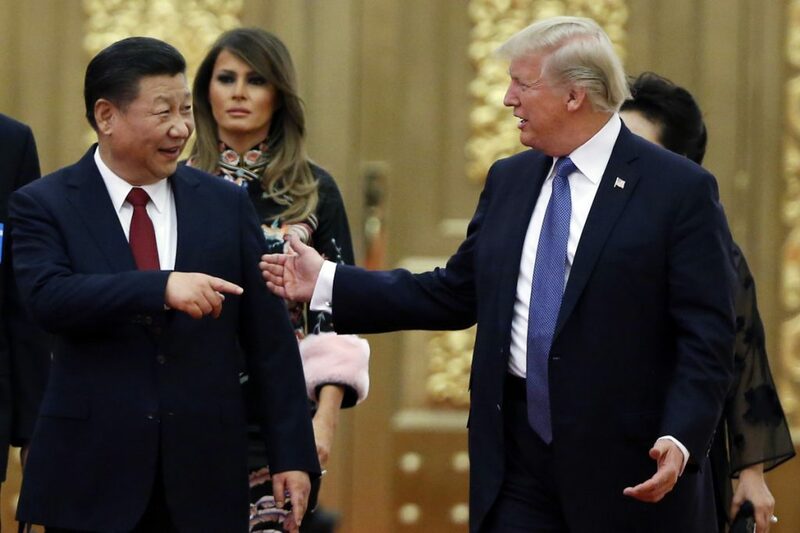 BUENOS AIRES, Argentina — Table talk at President Trump’s dinner meeting Saturday with Chinese leader Xi Jinping could have a global impact. What they agree on – or don’t – will likely move markets up or down, determine whether the world economy gets some relief from destabilizing trade tensions and cast judgment on the wisdom of the American leader’s hard-nosed trade tactics. Trump and Xi are seeking a way out of a trade war between the world’s two biggest economies, while also saving face for their domestic audiences at home. Before the dinner of grilled sirloin, red onions, goat ricotta and dates, Trump told reporters that “we’ll be discussing trade and I think at some point we are going to end up doing something that is great for China and great for the United States.” He did not offer any details. Xi’s remarks also gave no indication of whether any breakthrough was imminent.